Eligibility to represent India in events organised by International Padel Federation and its associates. Eligibility to represent the State in events organised by Indian Padel Federation and its associates. IPF provides competitive match play for all ages and skill levels. All players have the opportunity to advance to a local, district, State and National championship. Whether you are looking to earn a national ranking or simply sharpen your match play skills, the IPF sanctions local tournaments each year for various age divisions. IPF Junior Tournaments allow kids to advance their game. They will enjoy and succeed in competition by getting on the court, learning from the best and connecting with their friends. With play levels ranging from entry level to national competition, IPF Junior Tournament participation encourages player development and advancement. 1. 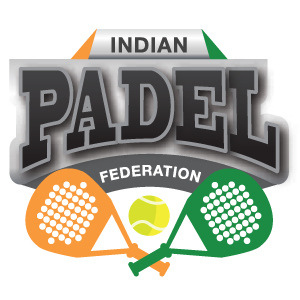 Demand Draft in favor of “Indian Padel Federation” payable at Bangalore. 3. Pay cash to IPF representative.